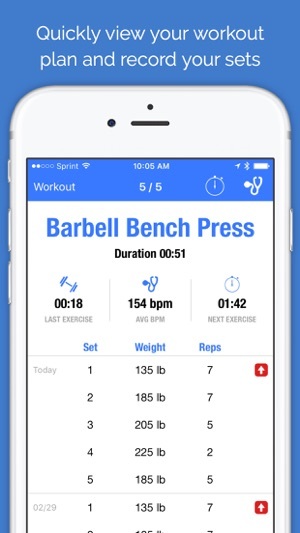 Fit Weightlifting is the best way to keep track of your progress while you workout. To begin create a workout plan with the exercises you want to do, or simply start a workout and add exercises as you go. As you workout enter the weight and repetitions you do for each exercise. Fit will calculate the calories you burned, your one rep max, the total volume of weight you moved, and much more. Since everyone's workout is different, you aren't limited to pre-defined exercises. 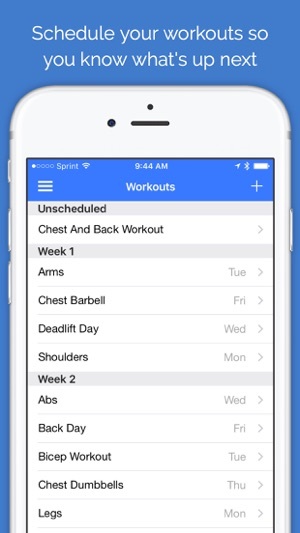 You can create any exercise you want and have it show up in your queue on the day you schedule them. Your exercise history can be quickly compared to see your progress in several easy to use graphs. All of your health data will remain on your device. 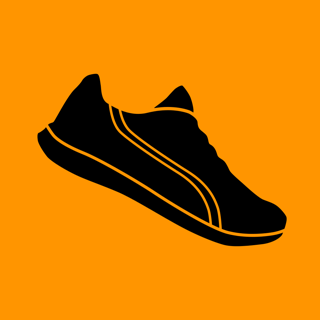 Fit stores the calories you burn and your heart rate (if you enter it) in the Health App. 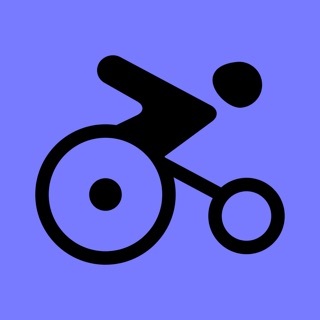 Fit requests permission from the Health App so we can record and display health related data. When you record an exercise we use the weight you lifted, the number of reps you did, your height and body weight, and the speed you perform the exercise to calculate how many calories you burned. In addition, if you record your heart rate between your exercises we will use this and your age to calculate the calories you burned between sets. A significant percent of your burned calories happen as your heart rate is still elevated between your sets. Redesigned to work beautifully on your Apple Watch, now with Watch OS 3 you can track your workout and leave your phone at home. The data will sync with your iPhone the next time they are within range of each other. Ever use an iPod or iPad in addition to your iPhone to keep track of your workouts? Keep your data in sync on your iOS devices with iCloud. 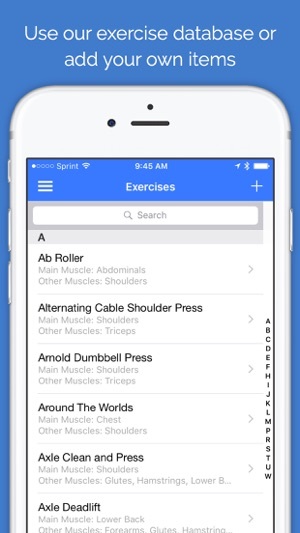 Currently, this feature only syncs your custom exercises and exercise records. More iCloud syncing coming soon! 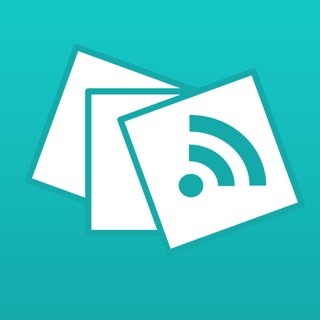 Use handoff to quickly switch between your devices and pick up right where you left off. If you are using an Apple Watch you can use handoff to load your current exercise’s demo videos and extended history on your iOS device. Some athletes have a multi week routine. Fit now supports this by allowing you to turn on week rotations. When week rotations are on, you can assign a rotation number to your workout that has a schedule. The exercises in that workout will only show up in your today view on that rotation week. Working towards a target 1-rep max on an exercise? 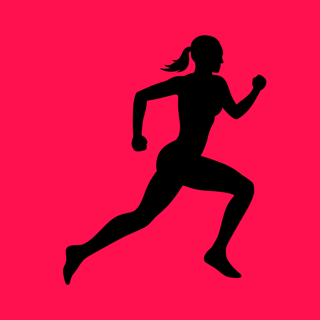 Track your progress more closely by creating a goal. You can set your target weight and add it to your dashboard for frequent viewing. Do you ever go to a gym that uses imperial weights one day (lb) and another gym that uses metric weights on another (kg)? You are able to switch the units your app displays your exercises in to automatically see all of your previous exercises in either measurement system. Find an exercise that really made you feel the burn? Or maybe you need to remember to watch your form in a certain way? Leave yourself a note in Fit that will show up the next time you do your exercise. Fixed a bug for the newer Apple Watch's where sometimes initial workout data was having trouble syncing from the iPhone. All data recorded on the watch was correctly being sent back to the iPhone, but some exercises from custom workouts were not appearing on the watch. 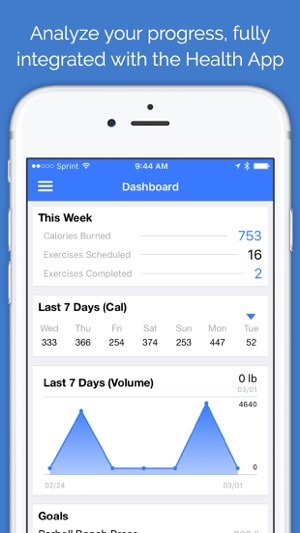 I have searched the app store for a while to find a good weightlifting tracker that fits my needs. This is definitely it. I like that Fit calculates calories, has a built-in heart rate monitor, allows you to add custom lifts and workouts, and calculates volume and other statistics over time. The interface is intuitive and easy to use. It is so easy to use that it works in the weight room without slowing me down in between sets. The workout history tables are not as good as they used to be. 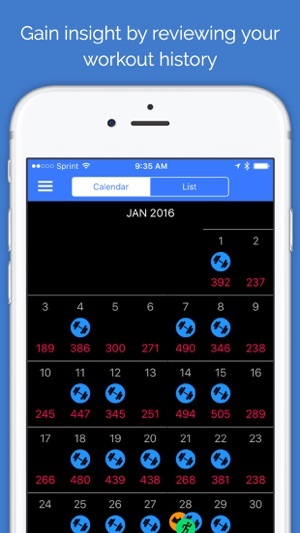 Hard to use and the calendar and list views do not present data in an easy to consume view. Like most lifters, I’m interested in tracking weight and exercises over time, not the calories and so on. Also, zoom or other graphical functionality would be nice. I now have about 4 years of lifts crowded onto one screen. I've been using workout tracking apps since I got my iPhone 3G 6 years ago, and this is easily my favorite. It is easy to use, can be coordinated with multiple people, and isn't bloated with social features, illustrations or a bunch of features that only get in the way (I'm looking at you, JeFit). 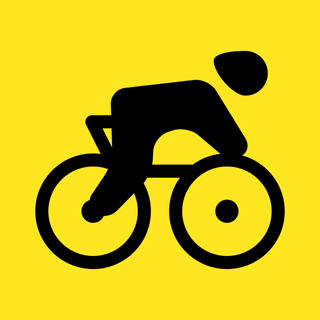 This strikes the right balance for me between being featureful and quick to use -- I hate fumbling with my phone after a hard set, and this app keeps interactions to a minimum. This app is very configurable. However, it would be helpful for the developers to add the ability for a user to edit the time that the exercises took place. During a high intensity workout such as crossfit it is impossible to log each exercise as you do them. It isn't a crisis unless you forget to start the app until you're done. 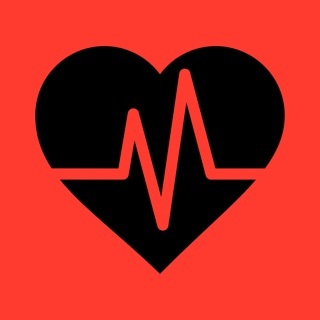 In which case you can log the exercises and reps, but you can not enter the time that you did it and have it recognize that your heart rate was elevated by checking the HR log for that time period. My Fitbit software would let me do that. Hi there, just wanted to mention that while you can't change the time an exercise was done on the Apple Watch, you certainly can on the iPhone app (down to the minute). Just tap on the row of the set that was recorded and pick a new time in the scroll wheel at the top. Since all data syncs between the watch and the phone, changes you make on the iPhone will be reflected back on the watch. So, for crossfit you could record what you did on your Apple Watch and after your workout you could adjust the time they were started on your iPhone.